If there was a hierarchy, the Kia Sorento Platinum would be the King of all SUVs. And I guess, there kind of is a hierarchy. 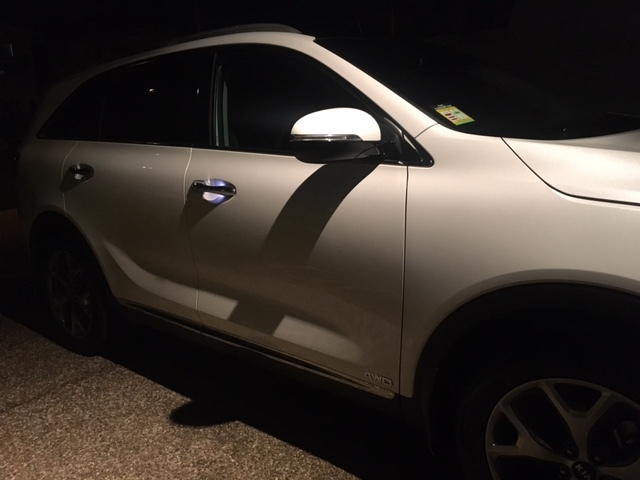 It’s called Australia’s Best Cars Awards and the Kia Sorento Platinum recently won it’s category, so we reckon we can definitely call this impeccable driving machine the SUV King. 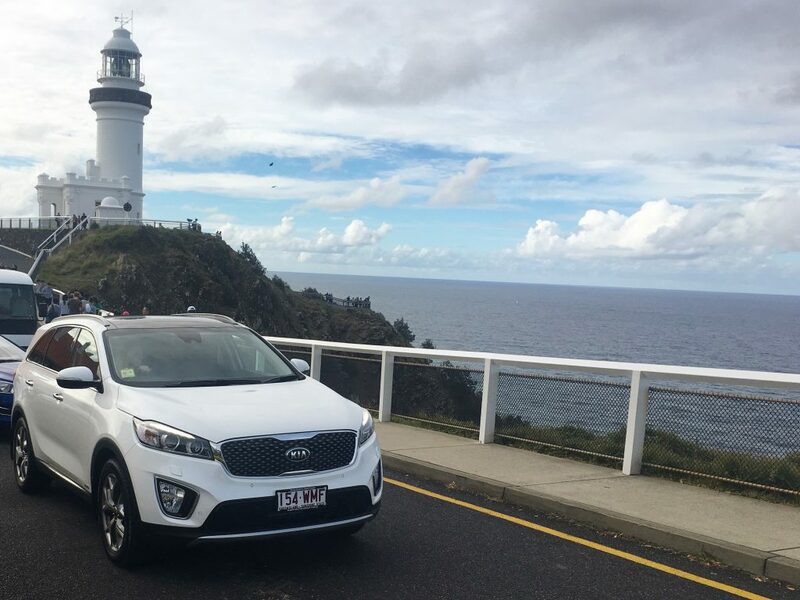 It’s really not hard to see why the Kia Sorento has been crowned Australia’s Best AWD SUV ($50,000 – $65,000) when you take a cruise in it from Tweed to The Farm at Byron Bay like we did. The self adaptive Smart Cruise Control makes highway driving stress-free. 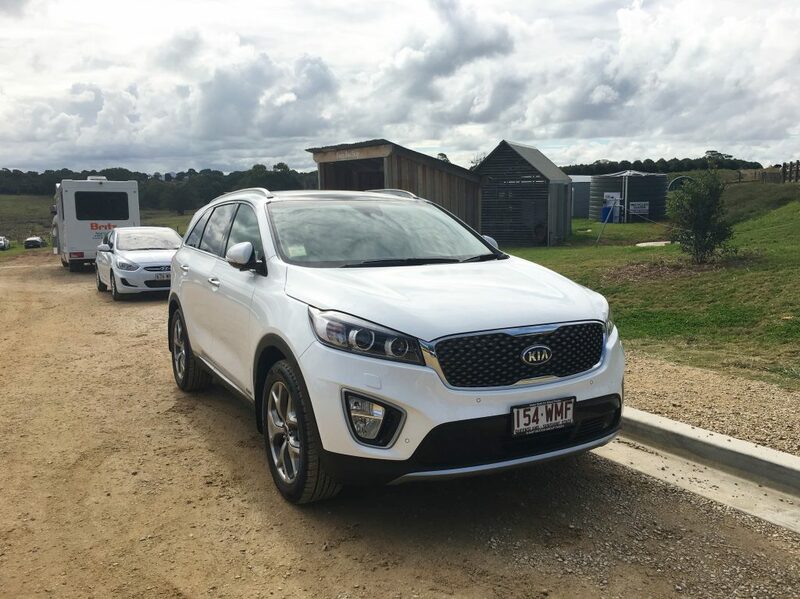 If the driver in front wants to slow down for a better look at the beautiful Northern Rivers countryside, or some cutie makes a late lane change, the Sorento Platinum will automatically adjust your speed to maintain the same distance. 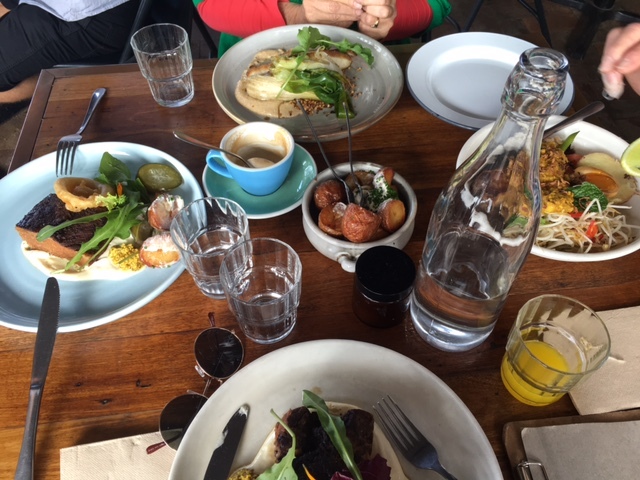 We arrived for lunch at Three Blue Ducks and although it was bustling, we didn’t have to wait long for a table. 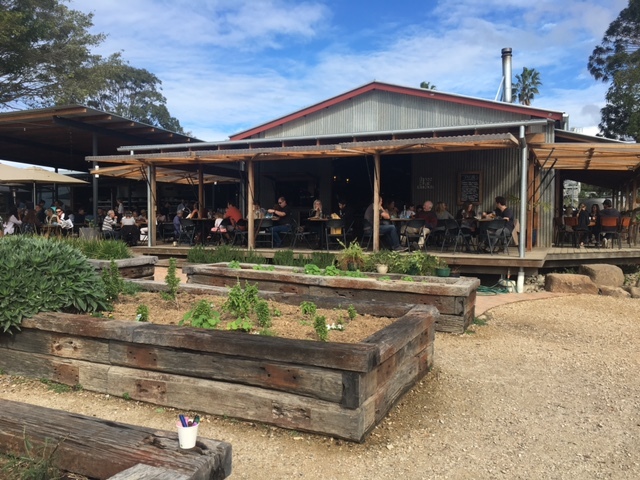 There’s also plenty of people watching, bakery perving and coffee sipping one can do during the wait if you’re concerned about not being able to make a reservation at this super popular eatery. 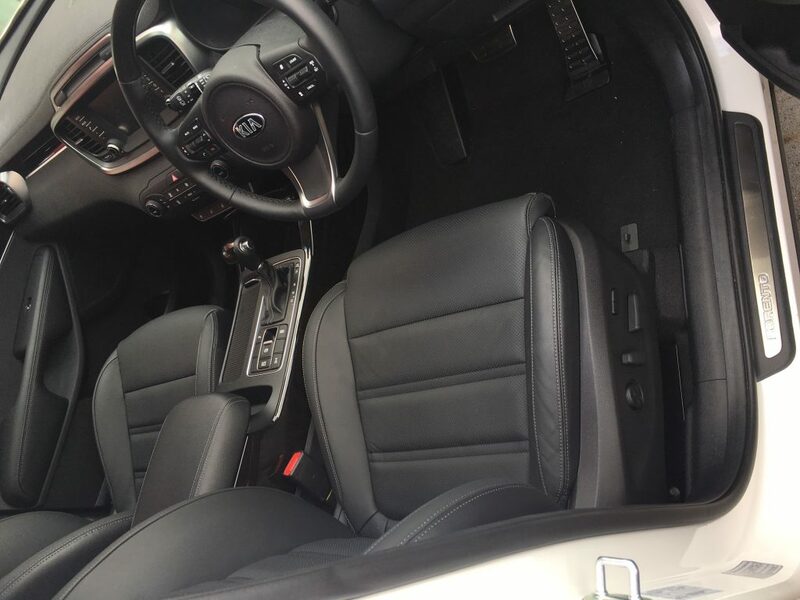 The seat in the Kia Sorento Platinum slides back for you as you turn the car off, making it easier to jump out. It’s simple brilliance and another feature I love about this car. The atmosphere was vibrant and the crowd is a nice mixture of families, friends and couples. 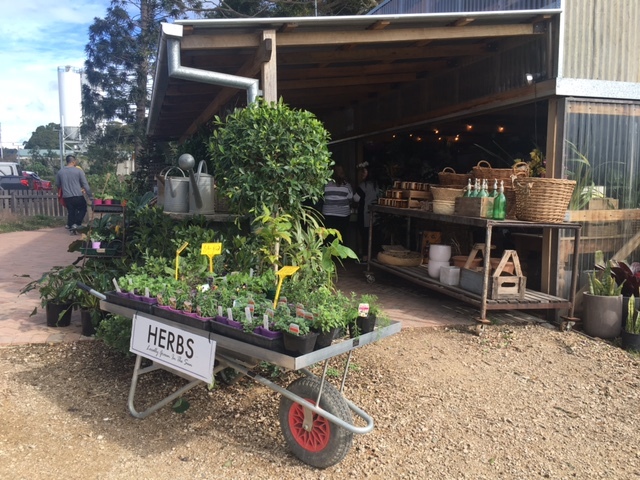 One of the biggest draw-cards of Three Blue Ducks is their promise to source as much produce as possible from The Farm, before venturing further afield for sustainably farmed food. The result is fresh, nutrient dense meals that are full of flavour. 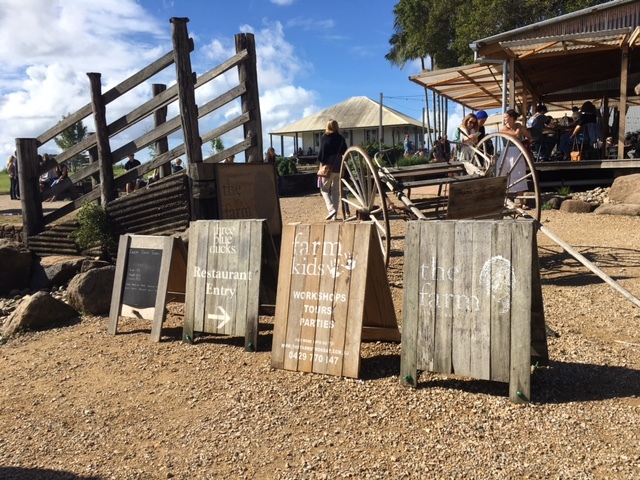 After lunch, a wander around The Farm is a must-do. 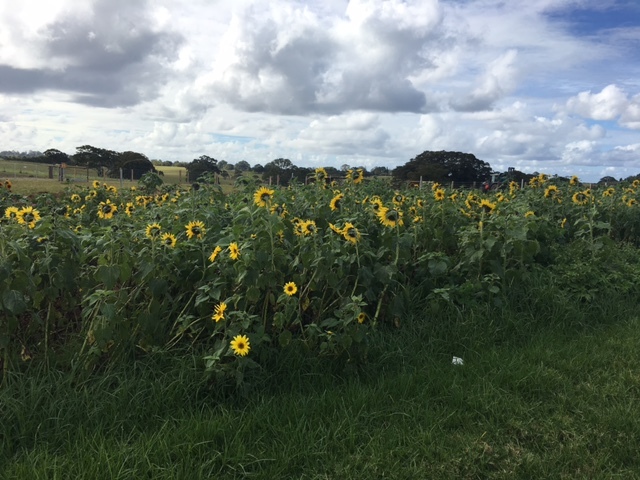 You can meet the residents that come in both four-legged and feathered varieties, perhaps admire the veggie patch if that’s your thing. 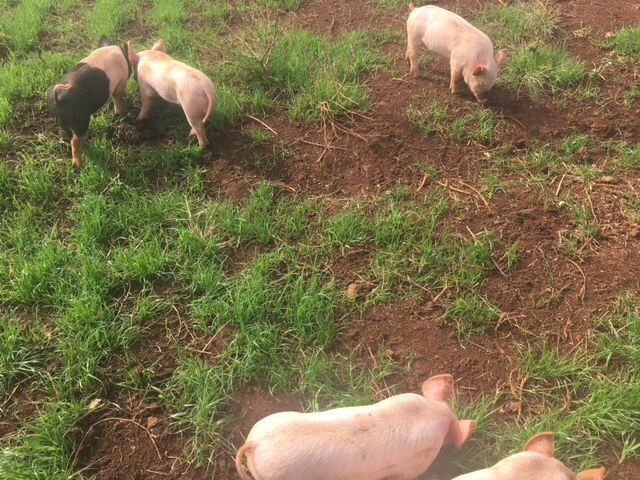 The piglets were a definite favourite, on a hot day you can catch them – happy as pigs in you-know-what – rolling around in their mud patch. 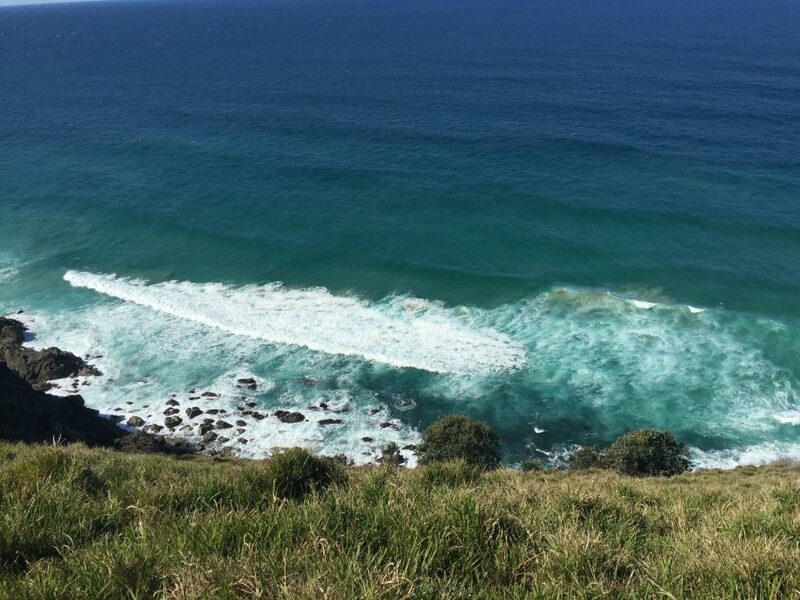 It’s an awesome excuse to switch off, zone out and enjoy a rural-type break from Gold Coast life. 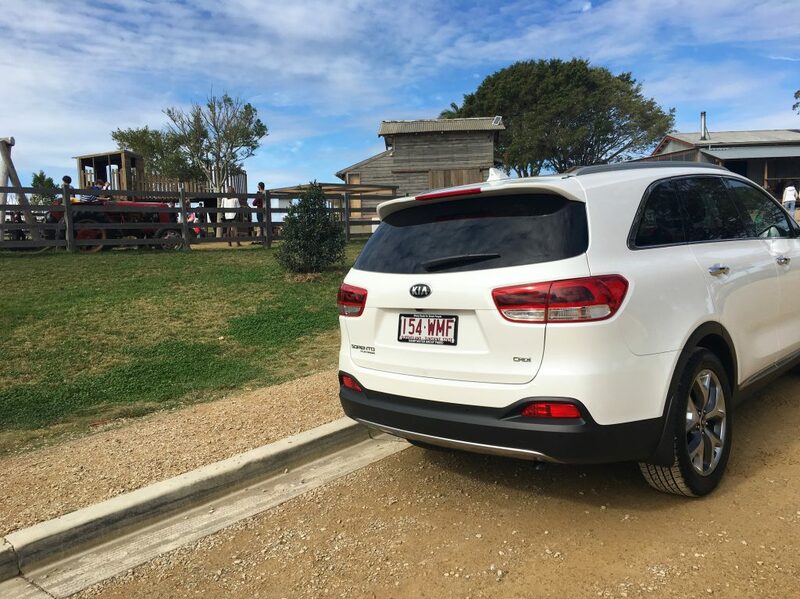 Back in the Kia Sorento Platinum, we had a difficult decision to make – did we want our seats warmed, ventilated, or just as they come? Did I need the steering wheel heated? Probably not, but I had to try it out anyway. The clever 7″ touch LCD display features a satellite navigation multimedia system with traffic information, and it will even show you where the nearest fuel stations are. 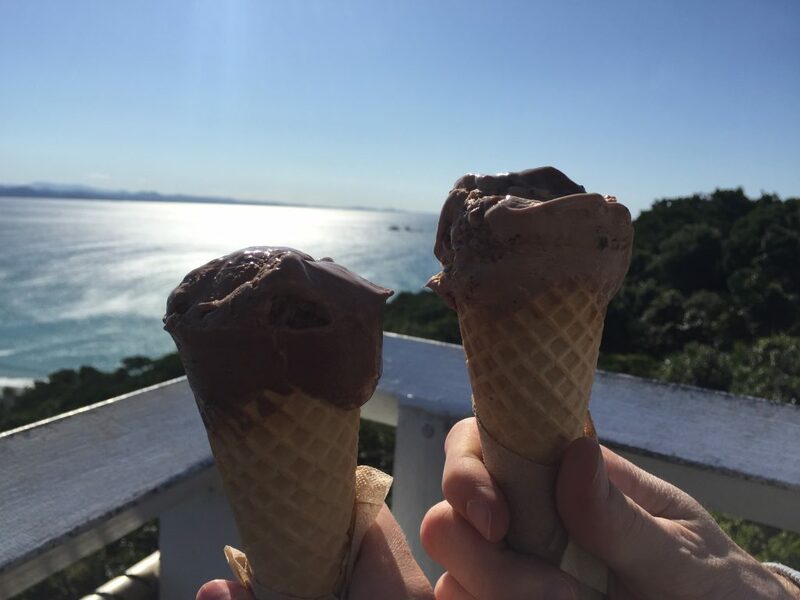 Of course, a trip to Byron Bay wouldn’t be complete without a cruise up to the lighthouse and an ice cream at Cape Byron Lighthouse Cafe. There really are too many amazing features of our SUV King to name them here. However, one of my favourites (apart from the sliding seat trick) included these nifty lights within the door handle (pictured below) which illuminate when the King senses you are nearby. The panoramic sun roof was also a hit, as was the Lane Departure Warning System. Plus, it boasts Kia’s unbeaten 7 Year Unlimited Kilometre Warranty, 7 Years Capped Price Servicing and 7 Years Roadside Assist. 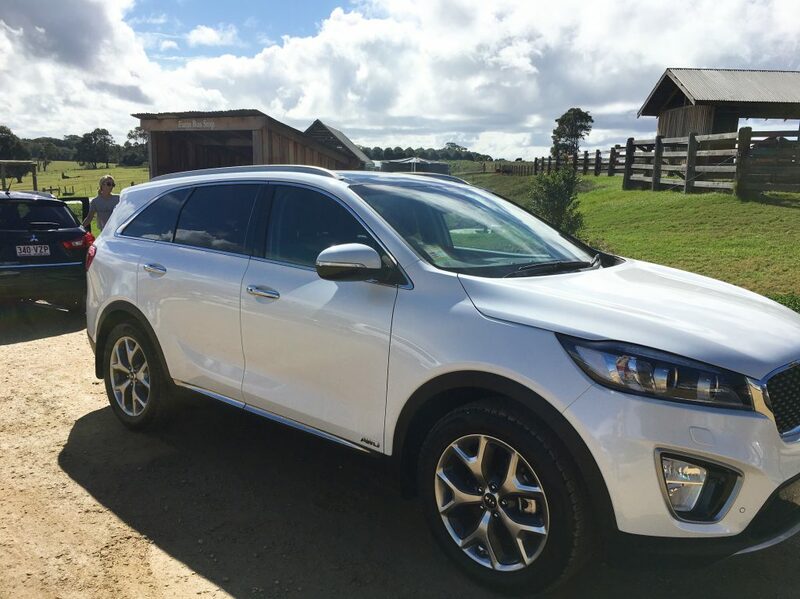 Read the extensive list of Kia Sorento Platinum features here. 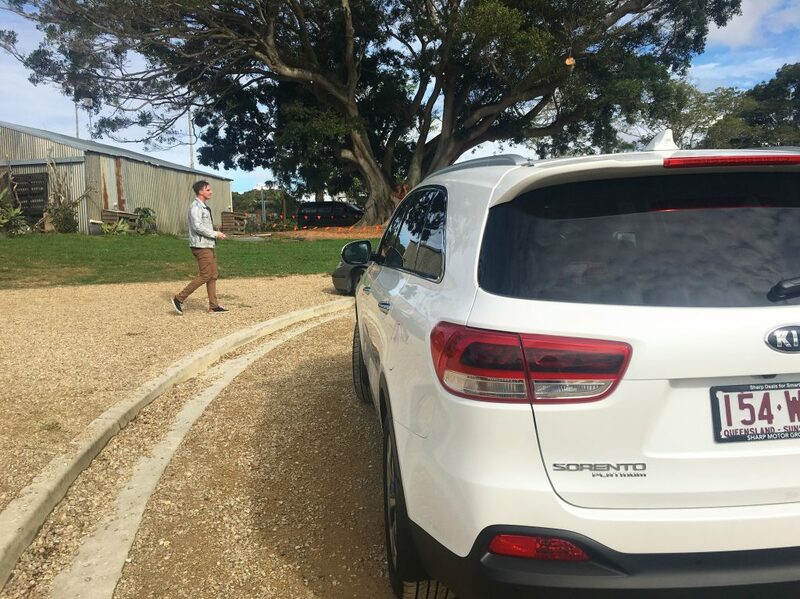 Test drive the Kia Sorento during October and you’ll automatically give yourself the chance to win a $100 voucher for Three Blue Ducks. Book online with Matt or Kurt by clicking here, or call 07 5523 7400. The Terms and Conditions of this promotion are available here.